On 21st February members of UWMCC congregated at Leamington Spa Town Hall to donate blood. 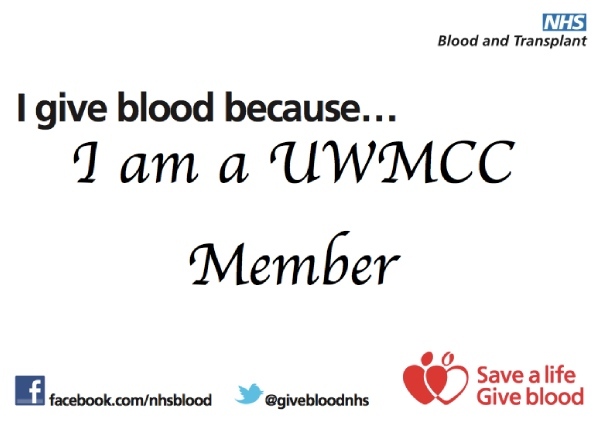 Over the last few months UWMCC have been working with Give Blood to enable members of the club to donate together. This came to a close last week when 21 members, along with members of UWLCC and other clubs, made their donations. The project started last year when we organised a recruitment presentation on campus. On the 5th December a representative of Give Blood visited the university to deliver a presentation to potential donors and to answer any questions they may have had. On the day 22 new donors were signed up. We then started to book appointments to donate on the 21st February. The day ran smoothly, with 24 students donating on the day, which is a fantastic start to what will hopefully become an annual event. Thanks must go to everyone who came along, regardless of whether they were in fact able to donate*. Further to this, Give Blood requested to use our campaign, along with the story of Danny Williams, to advertise to potential young donors. Look out for photo’s of the club in Give Blood ads in the near future. * 1st XI captain Simon Knott was unable to donate due to “slender veins”. Others were also prevented from donating on the day.